The beneficial role DATUM plays in the supply chain can’t be understated. Without detailed product information you limit your sales potential and increase the amount of unhappy customers. Knowing exactly what you are ordering inspires confidence. 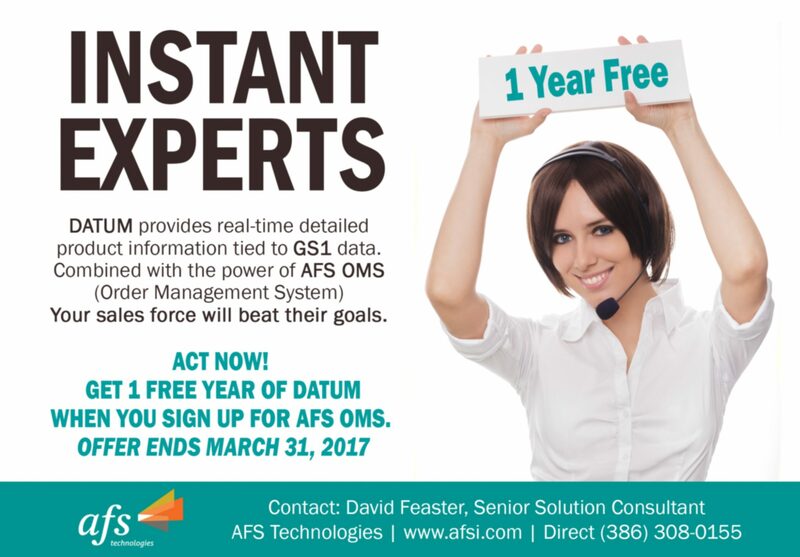 AFS DATUM is a web-based portal residing in a secure cloud environment that uses the Global Trade Item Number (GTIN) as a single point of reference. Watch this video to see how it works! Join David Feaster in this OnDemand Webinar and learn more about DATUM and the benefits it brings to your sales engine.